Lloyd Marcus -- We Did It! Memories Pizza Saved! WE DID IT! 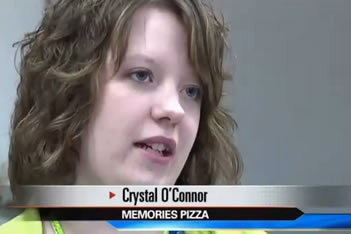 MEMORIES PIZZA SAVED! Patriots, we did it! We raised over 840 grand expressing our love, support and solidarity with Memories Pizza – a Christian owned business temporarily closed down due to extreme harassment from the Left. What struck me most about the initiative was the self-less unity. Conservatives of varying stripes came together to lift up a wounded brother (Memories Pizza) in the battle for liberty and freedom. In essence, conservatives across America said to Memories Pizza, “Hang in there bro, we got your back.” Awesome! This is how we win this battle for our freedom folks. This is how we push them back. That night, I dreamed of various singers and bands coming together, laying aside their egos to record “Amazing Grace” in their own style (musical genre). I sent out a clarion call to the Maryland music community. We recorded a unique version of the classic hymn. All proceeds from sales of the recording benefited a youth center run by a Catholic nun, Sister Bobby. Please give it a listen. The Blaze TV host Dana Loesch came up with the idea of a fundraiser for Memories Pizza, targeted for destruction because of their beliefs in support of traditional marriage.